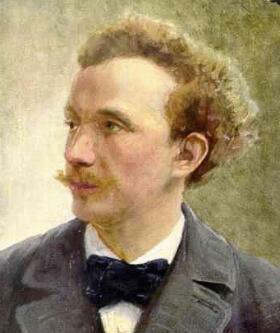 Richard Strauss was the son of the horn player Franz Strauss who encouraged his son to perform and compose music from an early age. Richard began composing at the age of six, his first works being a Christmas carol and polka. At the age of 12 he completed a festival overture which was published as his Opus 1. The publication was paid for by a wealthy uncle, but soon after his works were accepted by publishers without any payment. His youthful works were received with mixed critical acclaim. The conductor Hans von Bulow, said of his piano pieces Op3 "We have here to deal not with genius, but with the kind of talent that comes ten a penny". However he later recanted and became a great champion of the Strauss' works, including the Serenade. The Wind Serenade was composed around the time Strauss entered the University of Munich in 1881. It is a comparatively simple piece with attractive melodic writing and was the first of his compositions to remain in the concert repertoire. Richard Strauss' Serenade was performed by the woodwinds of the Portobello orchestra on the 13th December 2008, conducted by Anthony Weeden.